Dracula by Bram Stoker created a new genre within the horror category. 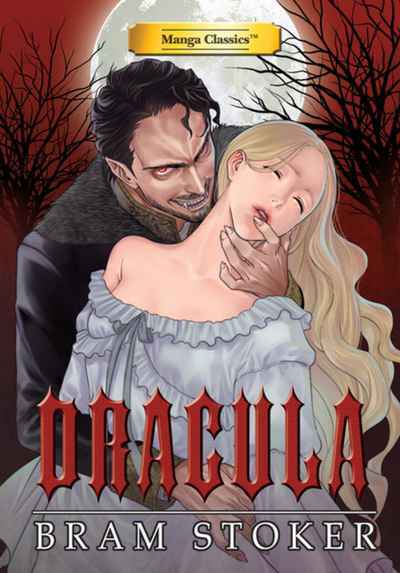 In this brilliant Manga Classic adaptation we find Jonathan Harker, a young English lawyer, traveling to Castle Dracula in the Eastern European country of Transylvania. The reason for his journey is to finalize the details of a real estate transaction with a nobleman named Count Dracula. As Harker explores the beautiful countryside he begins to receive warnings from the locals about the man he about to meet. They give him odd charms and crucifixes to ward off evil spirits. They also utter a strange word that Harker later discover means "vampire". Originally published in 1897, Dracula has inspired many horror genres, gothic drama, theatrical, film and TV interpretations.